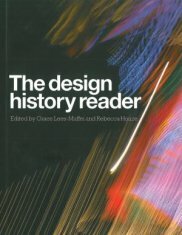 The day will start with an introductory keynote by Grace Lees-Maffei, co-editor of The Design History Reader published by Berg (2010). The lecture will be followed by opportunities to break into one of three discussion sessions, focused on either history, methodology or theory. The afternoon focuses on academic writing in design education and concludes with a case study of an alternative design history curriculum. o Methodologies: Introducing design students to methods for researching design. o Theories: The relevance of theoretical perspectives for design practice. Writing - and academic writing in particular - can be a challenge for all design students. This workshop will address how can we best teach and support writing amongst a diverse body of design students. Noel will give a case study of his experiments with introducing speculative design histories to design students. Through exploring alternative and counterfactual histories students learn scenario building and experience the creative possibilities of history writing and research. 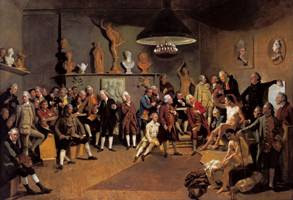 The Design History Society is launching the first in a series of workshops aiming to encourage a forum for sharing and thinking about our teaching practices. We particularly recognise that design history and theory is taught by many new to teaching or working part-time. We hope the workshops can offer a supportive network for practitioners in the field and we warmly welcome suggestions for future workshops. Our first workshop addresses the special relationship between design history and design education. What particular issues does teaching theory to future practitioners raise? We have divided the day into two parts where the first will debate the ‘what we teach’: How do we develop a design history curriculum which responds to the needs of the field and the individual student? The afternoon will focus on writing and assessment. The plenary will bring our conversation together and raise further themes for future workshops to address. Methodologies: Introducing design students to methods for researching design. Theories: The relevance of theoretical perspectives for design practice. Writing for design history: Writing - and academic writing in particular - can be a challenge for all design students. This workshop will address how can we best teach and support writing amongst a diverse body of design students. Assessment and feedback: Coursework should be a part of a conversation between student and teacher. How do we enable assessment to be a positive learning experience and feedback to be effective and valuable to students? 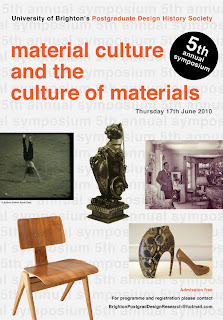 This event is free and generously funded by the Design History Society. We would be grateful if you could circulate this to interested colleagues in your department. Registration is necessary. Tate Papers Issue 13 2010: Anna Cutler "What is to be done, Sandra? Learning in Cultural Institutions of the Twenty-First Century"
Director of Learning at Tate outlines what she sees as current learning imperatives and considers their relevance for 'creative cultural learning'. I thought I'd remind you of the Design History Society's research grant of up to £1500. The next deadline for applications is 15 September 2010. The Society set up the research grant to encourage scholarship and research in the field of design history. The grant is available to any student registered as undertaking a PhD or Mphil and academics affiliated with academic institutions. I haven't read his book 'A will to learn: Being a student in the age of uncertainty' but have been meaning to and interested to hear from anyone who has. Not sure if this is an open event but as I received an invitation I don't see why this shouldn't be the case. I suppose this relates to the notion of 'the only thing students need to learn is how to learn'... What do you think? the idea that learning for life requires certain kinds of dispositions and qualities and that the educator’s role lies partly in their development. implications – in very general terms – of the above considerations so far as teaching is concerned. This session will be a discussion built loosely around the above themes and will hopefully be an opportunity to share thoughts and ideas. It would be helpful, therefore, if colleagues could come armed with concerns and experiences and their own teaching approaches that bear on the above issues. Ronald Barnett is Emeritus Professor of Higher Education at the Institute of Education, London. His work focuses on the conceptual understanding of the university and higher education. His books include Realizing the University in an age of supercomplexity, and A Will to Learn: Being a Student in an Age of Uncertainty. In 2009, he was a Special Adviser to the UK’s Select Committee Inquiry into Universities and Students and is currently a Senior Research Consultant at the University of Surrey. He is a past-Chair of the Society for Research into Higher Education and has been an invited speaker in 30 countries. established. Speakers include academics, curators and artists. exhibition 'Looking Back at the Life Room' at the Strang Print Room, UCL. I am arguably biased as I have been involved in arranging Brighton Postgraduate Design History Society (PDHS to us) which is now in its fifth year. The day will feature six papers from postgraduate researchers from within and beyond the university, across a range of topics and historical periods, united by our common focus of design history and material culture studies. 4.4-30 Marie McLoughlin - Does Fashion transcend both Craft and Design? in the areas of design history and material culture.